If you’re looking to add a personal touch to your greeting cards, scrapbook pages, journal or any paper crafting project then your own hand writing is a great way! 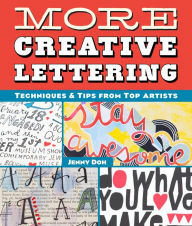 But if you’re like me you might not be crazy about how your writing looks so here’s More Creative Lettering to give you a hand (no pun intended :)) This book by Jenny Doh is filled with tips and techniques from many top artists who will show you how to use different writing instruments and coloring mediums for lettering that ranges from fun and funky to elegant and sophisticated. Each lettering style tells you the supplies you’ll need and the method to achieve the look, along with tips and lots of photo examples and project samples. For my first project I tried a technique from Roann Mathias. 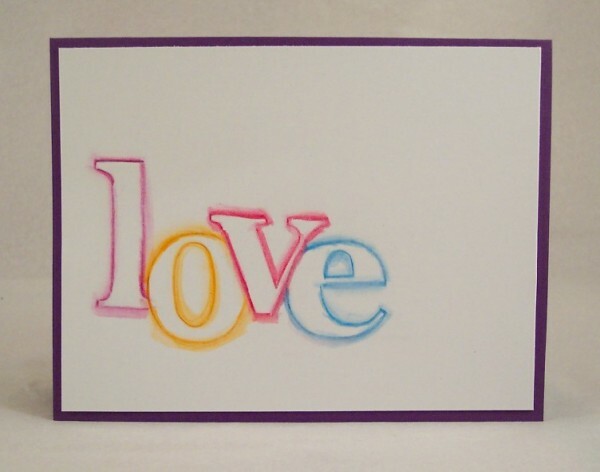 Using a stencil and pencil I lightly traced my word onto heavy weight white cardstock, and then went around each letter with a water color pencil and then used a wet paint brush to blend out the color. This was an easy and but really lovely technique that give a nice bright pop of color. 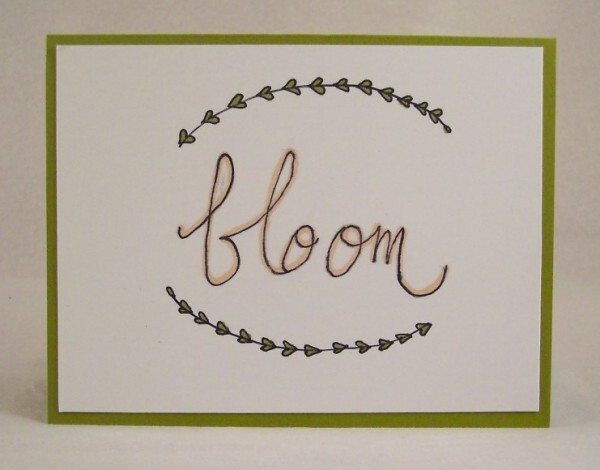 Next I followed some tips from Kerri Winterstien and used a thin black pen to write the word bloom, adding some laurel branches curved at the top and bottom, adding in some color to both with markers. This is such a trendy look right now. 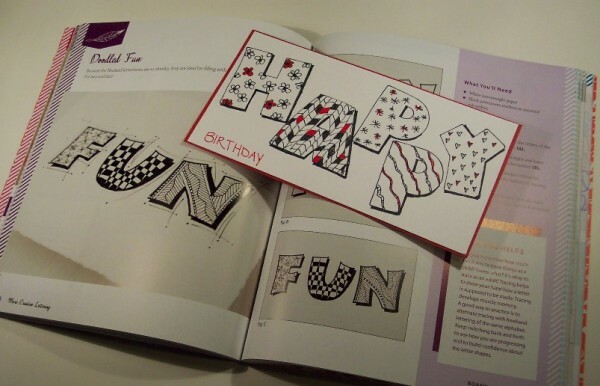 Lastly I use the Doodle Fun idea tracing some large stenciled letters with a black pen adding different doodling to each letter with just a touch of red for some color. This is a fun idea that anyone can do, we all doodle, don’t we? And here’s also a peek at what the inside of the book looks like. If you’d like to take your lettering to the next level check your local book or craft store or find More Creative Lettering on line at Barnes and Noble or at Amazon.